You can easily launch your campaign site online or take it offline at anytime. 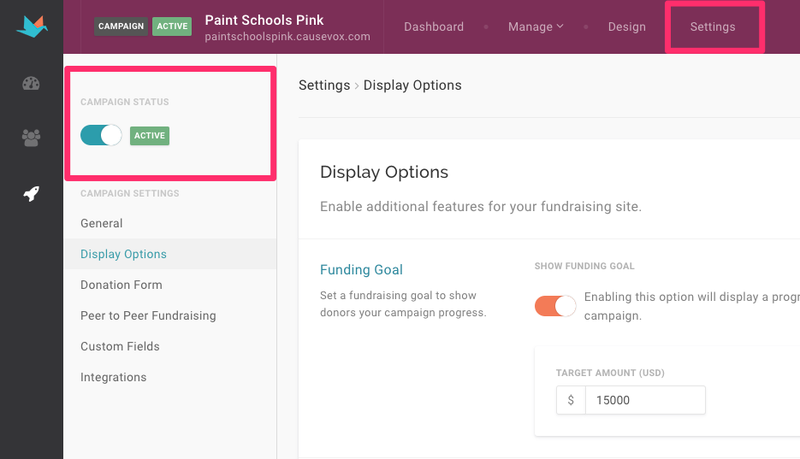 In order to be able to put your CauseVox campaign site online, you must get to 100% setup by going through your Design area and Settings. 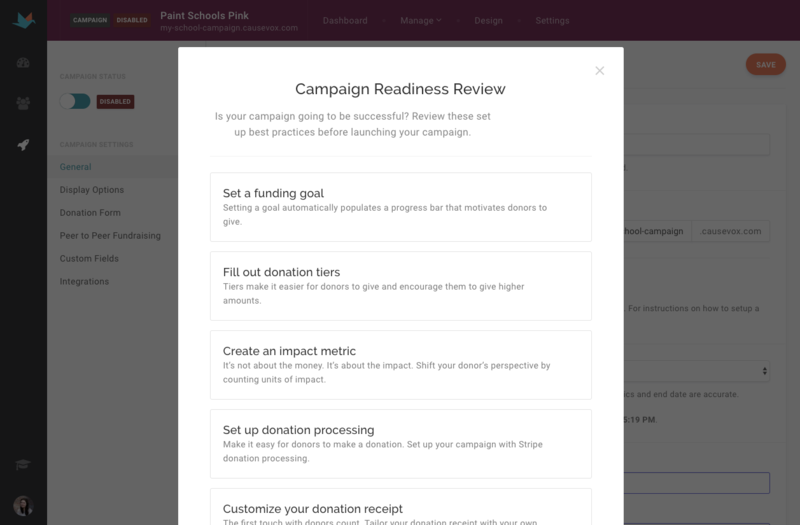 Once you switch it to activate the campaign, you're taken to a campaign readiness review checklist, to help you make sure everything's ready to go! 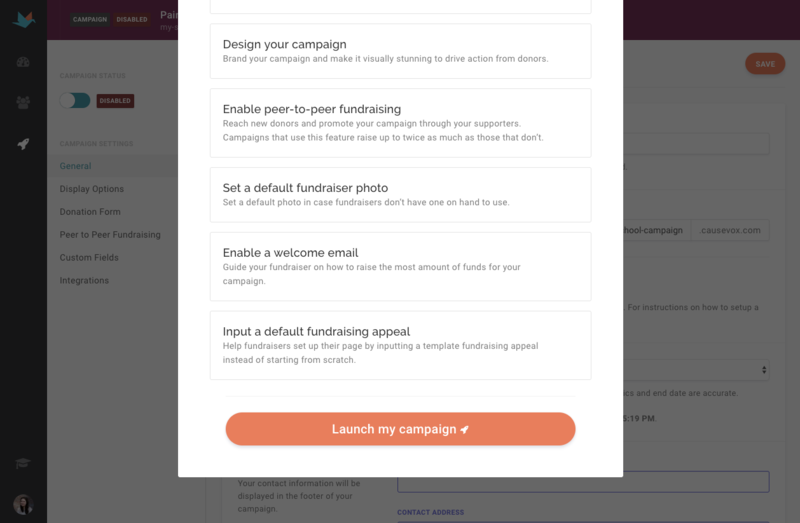 As you're reviewing your campaign, scroll down the page to the "Launch my Campaign" button and click on it. Your site will now be online, and you'll see the "Active" button has turned green. 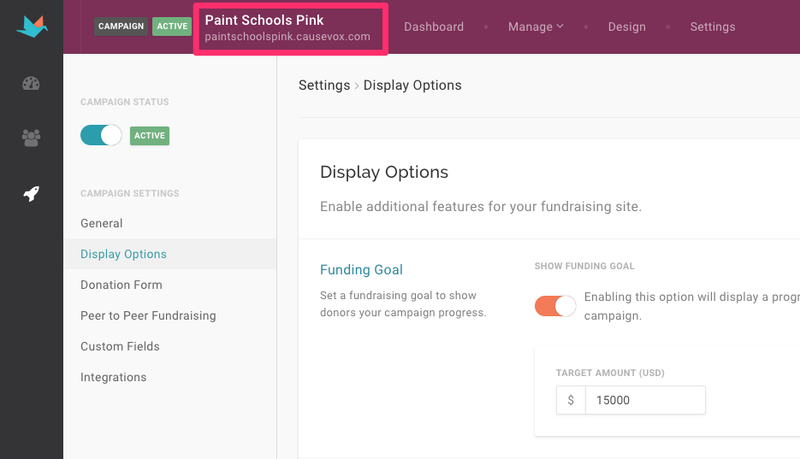 In the upper left corner, you'll see your campaign site URL under your campaign title. You can now click on this to view your live campaign. 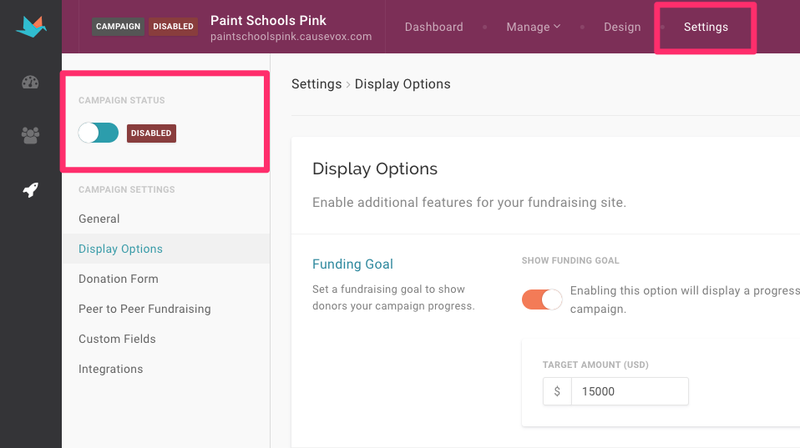 To disable a campaign site or put it offline, click on the same switch and confirm it says "Disabled" in a red box. Taking your campaign site offline will not end your monthly billing, if applicable. To change your billing, please go to your Account Settings.